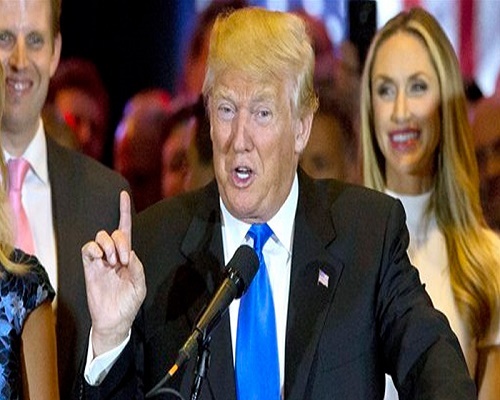 Washington: Donald Trump, who defeated 16 top political leaders of his party to become the presumptive Republican presidential nominee, has said that he does not considers himself as powerful and is fighting for survival. “I mean, I view myself as a person that, like everybody else, is fighting for survival. That’s all I view myself as,” Trump told the Fox News. “I really view myself now as somewhat of a messenger,” the 69-year-old leader said in response to a question. Trump, who is among the two persons to succeed Obama as the most powerful individual of the world next January, said that he does not consider himself as powerful. “I do not view myself as that,” he said when asked on he being so powerful now. “You know, this is a massive thing that’s going on. These are millions and millions of people that have been disenfranchised from this country,” he said. Appearing on the same show last night, his son Donald Trump Jr defended the campaign style of his father, arguing that this echoes the common people. “I think the rise is largely in part because of the tone, because he’s finally saying things that everyone wants to say. He’s giving them a voice again,” said Trump Jr and described his father as aggressive and tough. “When he talks and gets in a fight, he’s going to treat everyone the same way. It’s not about women or men – he did the same thing to Marco (Rubio), he did the same thing to Jeb (Bush),” he said in response to a question. “I think he’ll change. He can be as charismatic as anyone, but there also comes a time when you actually have to say, enough is enough,” he added. Politico reported that Trump has signed up veteran political strategist and pollster Tony Fabrizio. He is also giving final shape to various committees that would raise funds for him. One of the committees formed in association with the Republican National Committee and State Units would be able to accept maximum checks of at least USD 136,100 per person. Another committee would be able to accept checks of at least USD 69,500 per person, Politico reported. Buzzfeed reported that the Trump campaign cancelled an interview with a reported after he spoke in Spanish while waiting for the interview at Trump Tower.